Anyone who knows me will tell you how much of a thermometer freak I am. When bubba was little I was board line obsessive with taking his temperature if he was poorly and as his got older things haven't changed very much. To me, I know he's unwell and not just being a grot bag when he has temperature so having a reliable thermometer is a MUST for me. In fact, we have probably been through about 4 different ones since Bubba has been born. So when I was asked if we wanted to review a thermometer that worked with your smart phone I naturally squeaked with excitement and couldn't wait to test it out!! What this little gadget was offering sounded really unique and promising! A small thermometer that plugged into your phone and worked along side an app to give you a quick and precise temperature reading. When I opened the package the first thing I loved about this product was the amazingly convenient little zip pouch the thermometer came in. This pouch means that I can pop the Oblumi Tapp into bubbas changing bag and feel safe in the knowledge that it is not going to get dirty or damaged. It's also so tiny, even with the pouch, so it's perfect for taking out and about. Inside the pouch there is a space for the Oblumi Tapp itself and then a small netted compartment that holds some sanitary wipes to allow you to clean the thermometer on the go. I love this pouch and it's design. I think it so useful and is such a well thought out addition to the actual product itself. Now onto what this little thing of wonder can actually do! I really don't know where to start as there is so much to it!! 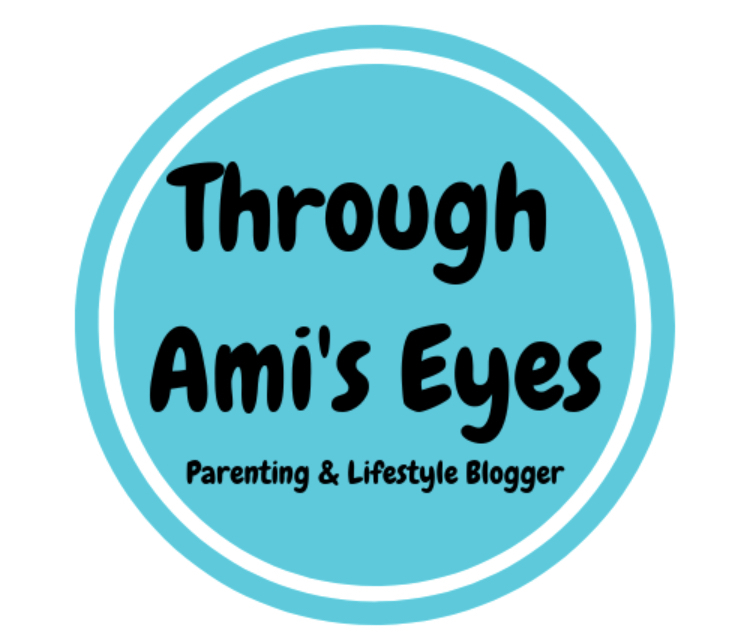 Firstly let's talk about the app. So the Olblumi Tapp comes with its own app that's free to download and essential using the thermometer. The app is so easy to use. You first set up profiles for you and your family and include things like their dates of birth and weights. Once you've done this you can then start taking their temperatures. The instructions are all on the app and are so easy to follow. You literally plug the Oblumi Tapp into the head phone jack on your phone, take the cap off and then you are ready to go. You can choose the either take the temperature in the ear or on the forehead and once you've picked how you will take the temperature in a matter of seconds you will have your result! Here's for the really clever bit... once you have your reading the app then will explain what treatment you could take to help (paracetamol ect) and how much to take based on your age and weight. The app then will track your temperature on a super easy to read graph and you can even set an alarm for when you need to take a reading again. I think this feature is amazing as I remember when pickle was little I would constantly clock watch when he was poorly, waiting for the next time I needed to take his temperature to see how he was. If I would have had this app a year ago it would have meant I could have grabbed a bit of sleep when pickle was poorly yet still woken up when I needed to. And that is not all! This thermometer doesn't just do body temperature. It can also find out the temperature of liquids too which I LOVE!!! All you do is follow the instructions on the app and then hover the Oblumi Tapp over the liquids to find out how hot or cold it is. This would have been something I would have found so useful when pickle was a baby as so many times we didn't know if his milk was too hot and this would have avoided any doubt. I also can't think of any other thermometers that we have had that have this function! Overall I cannot praise the Oblumi Tapp enough. I honestly can't think of anything I would change about it. I think that even the price of €49.95 (£41.74 with today's exchange rate) is amazing considering that some standard thermometers can cost upwards of £50 and most aren't as portable or versatile as the Oblumi Tapp. I honestly think that every parent needs one of these little beauties in their lives. It would also make a great gift for an expectant parent as what is better than giving something to protect their little ones health?? 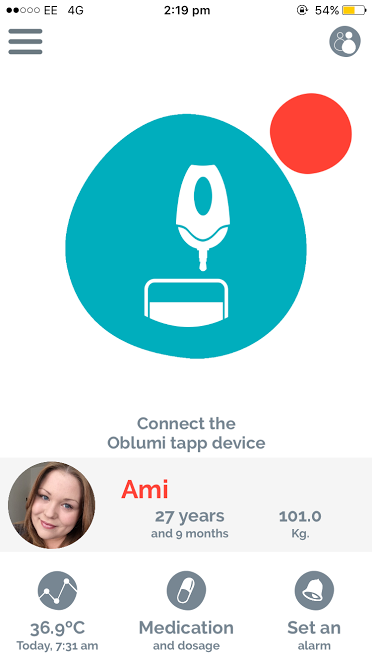 To find out more about the Oblumi Tapp or to get your very own then click here! Note - this product was sent to us for the purpose of this review but all opinions express are honest and 100% my own.